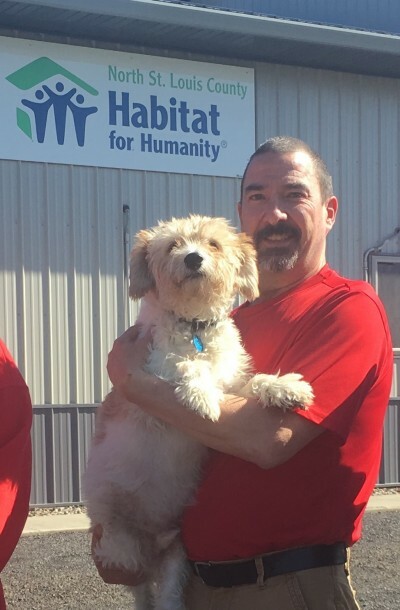 Meet Michael Bane and Coffee Cream, our 77th Habitat Family! Mike's home is being built in partnership with Mesabi Range College. They are currently painting the interior with floor installation up next. Mike used to be a sheriff in Hastings, MN but his "roots" and family are here on the Range. Due to a disability, Mike is no longer able to work and has found housing to be tough. He's had to move from apartment to apartment many times and currently lives in Virginia.